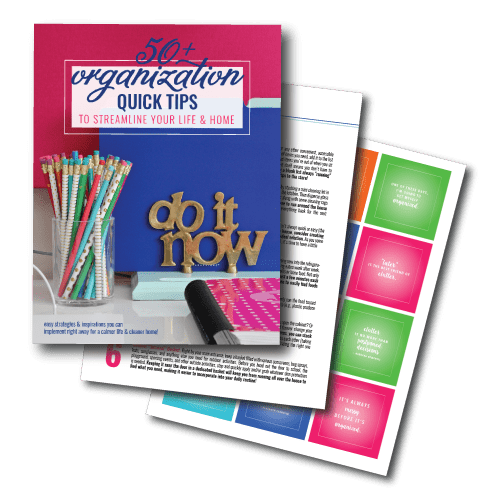 When we arranged, decorated and organized Sam’s nursery back before he was born, there was really no way of knowing which elements would turn out to be duds and which would turn out to be lifesavers. Even though we had the experience of Henry’s room(s), each house and each baby is different. And since it had been so long since we’ve done this, I wasn’t quite sure what all we’d need and where we’d want it this time around. 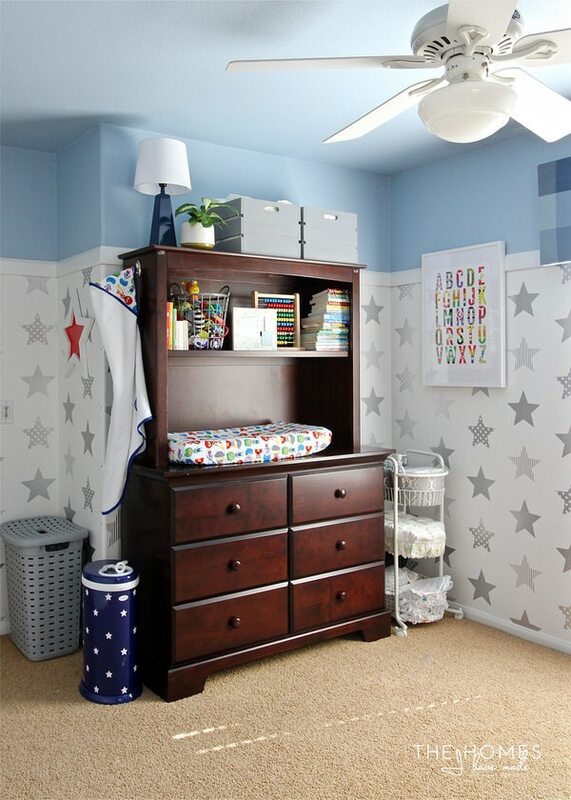 I did my best to make the nursery look great and function right for our perceived needs, but it wasn’t until we were able to use the room day in and day out that we could determine how right (or wrong!) we got it. The truth has been in the pudding, so to speak, over the last few months; and the nursery on the whole has actually been functioning so incredibly well. The one element I am loving the most, though, has been a bit of a surprise. 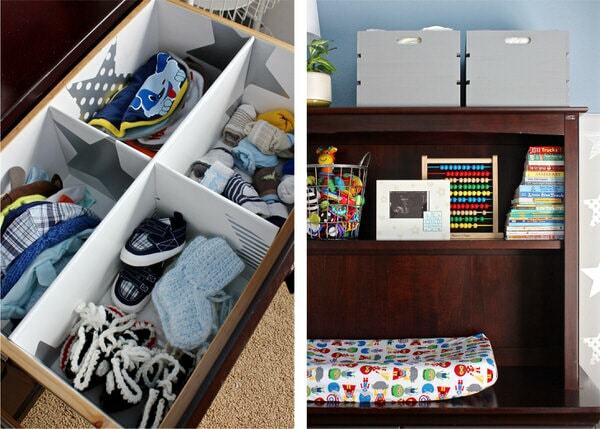 If you’re a soon-to-be-Mama, wanna-be-Mama, friend-of-a-Mama or someone who loves setting up nurseries, take note! 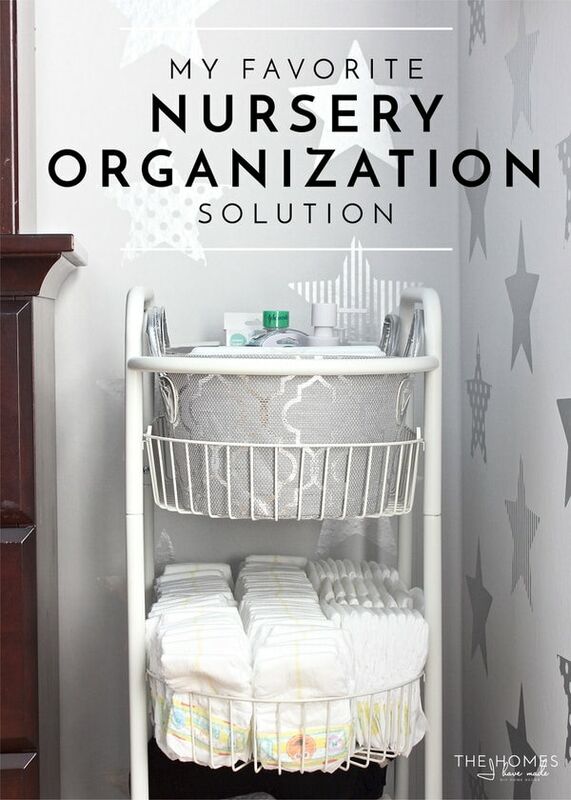 I can’t recommend this simple nursery organization solution enough! 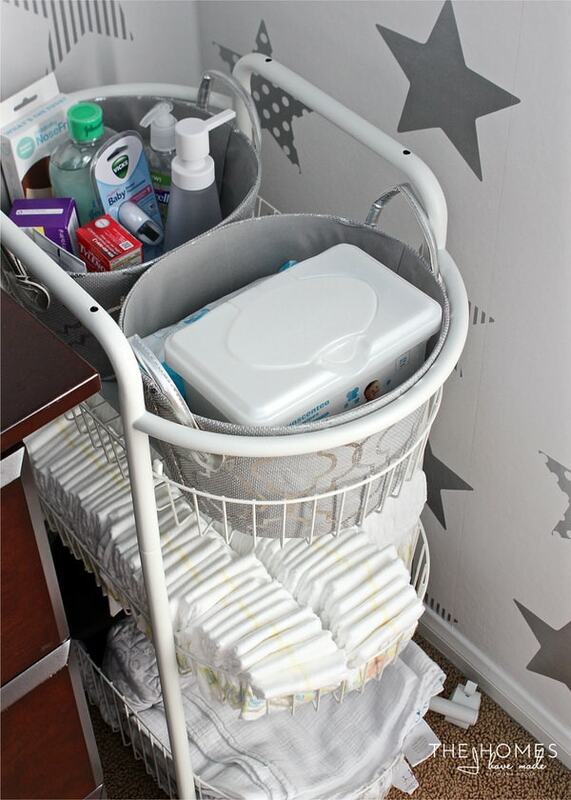 Yep…it’s my snazzy little diaper cart. Truth be told, I originally setup this cart for two reasons, neither of which were really function-related! One, was to get this darn cart out of our garage. 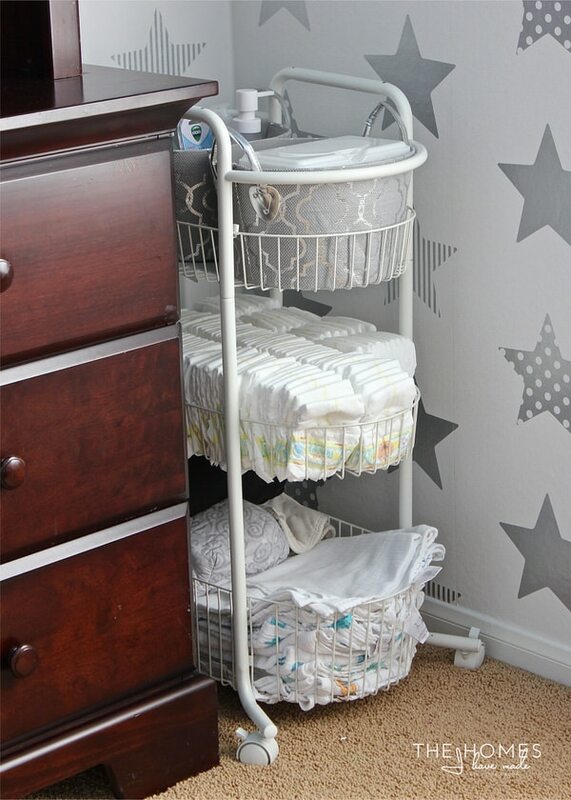 And two, because I liked the idea of a diaper cart and thought it would look great in the photos. I honestly wasn’t sure if it was something we’d use long term. Well…even though these photos are (admittedly) from the nursery photo shoot I did before Sam was born, the diaper cart pretty much looks exactly the same (except all the products are out of their packaging! 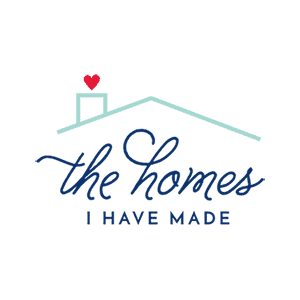 ), and it has been replenished with new diapers, new wipes, and clean blankets many times over. It’s easily one of the best things I did in this nursery, and here’s why! 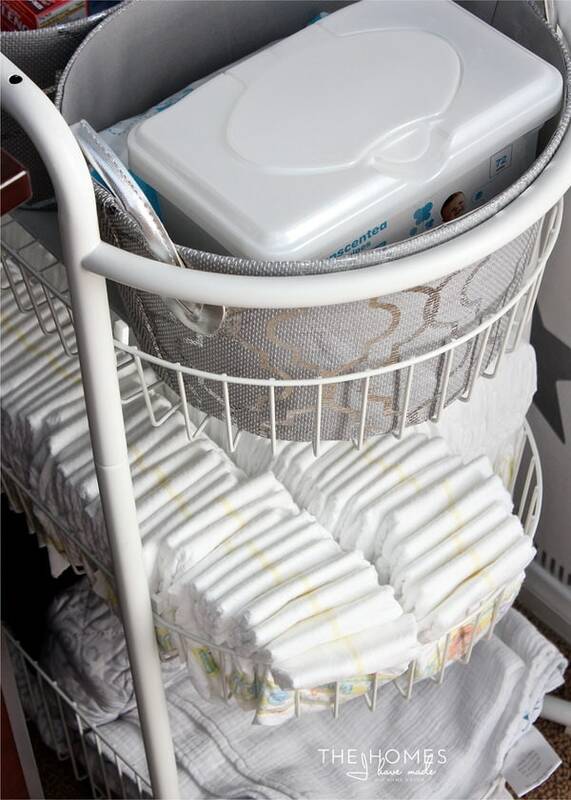 There are two other logical places for the diapers (and related things) to go: in the drawers or on the shelf above the changing pad. We used both places when Henry was a baby, and ended up preferring the shelf outfitted with baskets. But I never loved the way it looked, and it was somewhat of a nuisance to pull down several baskets for a single diaper change. By shifting all the diaper-changing supplies off/out of the dresser unit completely, it freed up the shelf and drawers for some decorative items and his sizable clothing stash. One of the key characteristics of this cart is that it (now) has an open top. This cart originally came with a tray-like top, but it made getting in and out of the top tier VERY difficult. Once I realized the tray top wasn’t integral to the sturdiness of the cart, it came off and changed its entire function for the better. For a cart like this to work, you need to be able to VERY easily reach and get what you need! Because the wires that make up the tiered baskets of my cart are quite wide, I was having a difficult time keeping the various toiletries from falling down or through the open slats. I wanted to find a way to corral everything on the top tier, but was skeptical I could find something that would fit just right. Well, these two round totes were one of the luckiest finds in the entire nursery. I found them at Marshalls in their Christmas section as I was cruising through looking for something else. Not only did they match the nursery, but I don’t think I could have gotten a fit better had I measured and looked at every basket in the county. 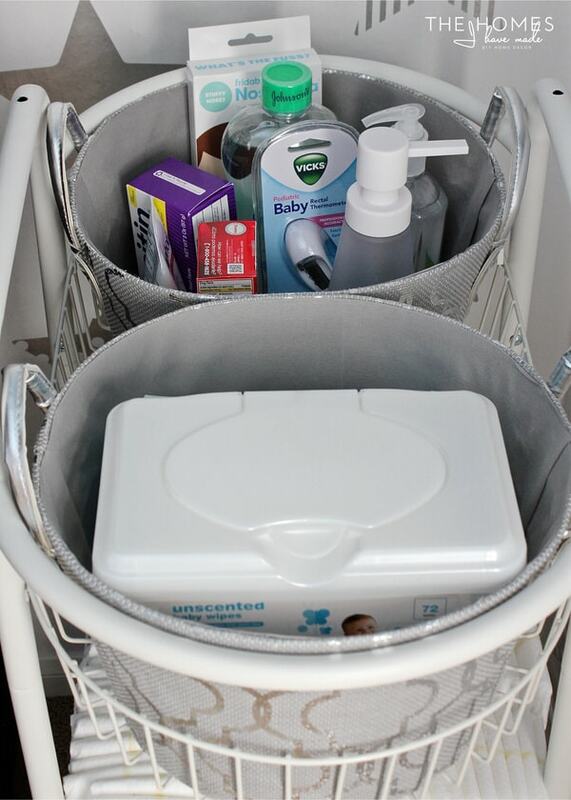 These two baskets corral all the small things we keep in this cart, making the whole thing easier to maintain and use! I tried very hard to only fill this entire cart with things that we would use day in and out. I didn’t want to be fumbling over things we never or rarely use just to reach the few things we did. 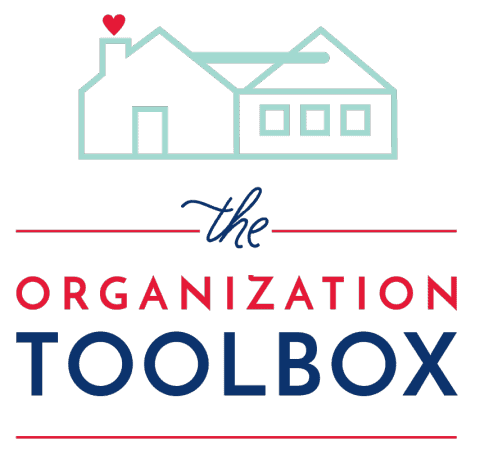 Diapers, wipes, and swaddle blankets were key…and then having a dedicated place for Sam-specific hygiene items (Infant Tylenol, diaper cream, etc) has been super helpful for the entire household. Curious what else is in there? A snot sucker, a thermometer, some Aquafor and hand sanitizer. All of his bath supplies have been moved into our room where we get him ready for bed every night. Having three tiers on this cart is another reason why it has turned out so handy. More levels obviously means more storage space. 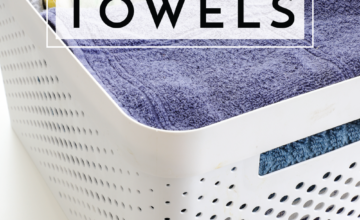 But because the tiers are baskets rather than shelves, it’s really easy to stuff in floppy things like (lots and lots of) diapers and blankets without them falling over or out. 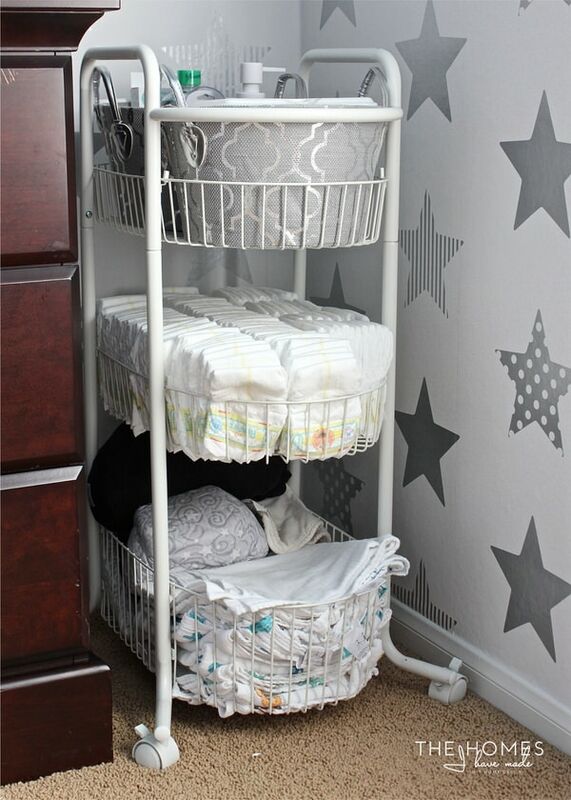 Multiple tiers is key to storing lots of baby essentials, but make sure you can easily reach in and out of each tier to make the added storage worth it! I’ve said it before, but I’ll say it again. I love that our diapers are stored in a way that makes them super easy to get out during diaper changes AND in during re-stocks. There are no drawers to open or baskets to pull down. 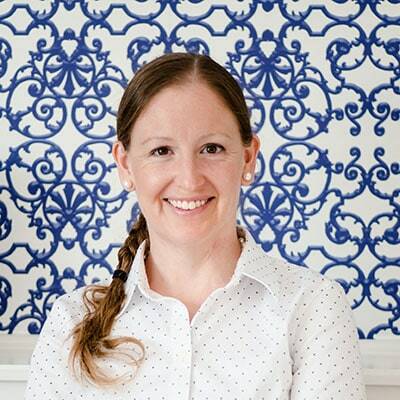 We can all reach them, and guests and babysitters can easily find them when they are helping out with Sam. When you change A LOT of diapers in that first 2 years of life, you might as well make it as easy as possible, right? Last but not least, another reason why this cart functions so great is that it is both out of the way AND easy to reach. 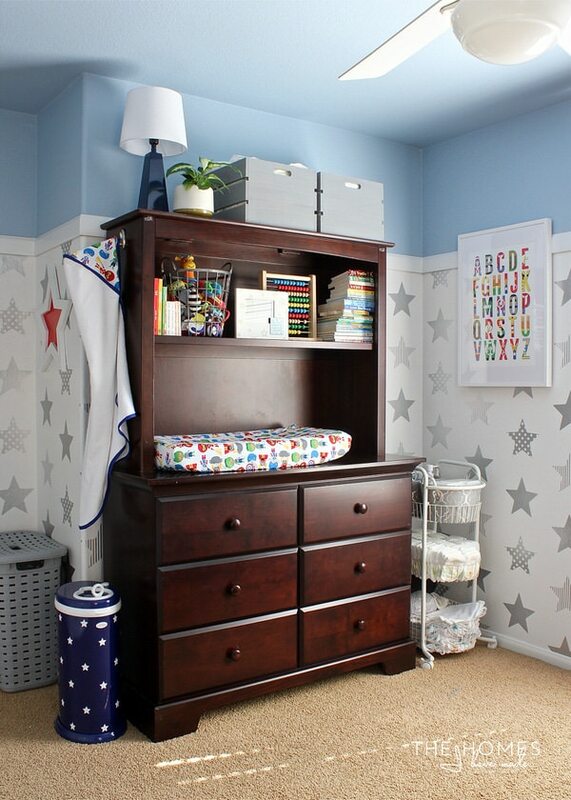 I was super excited to see that this wall in Sam’s room was wide enough for both the dresser and the cart; and I specifically sandwiched it in the corner so it wouldn’t be in the way or easily knocked over. And although the cart is not directly next to the changing pad, we can still easily reach pretty much everything while keeping a hand on Sam during diaper changes. It really turned out to be the most functional way to use up this corner of space! Our cart is one that I picked up at IKEA on clearance, and it is no longer available. 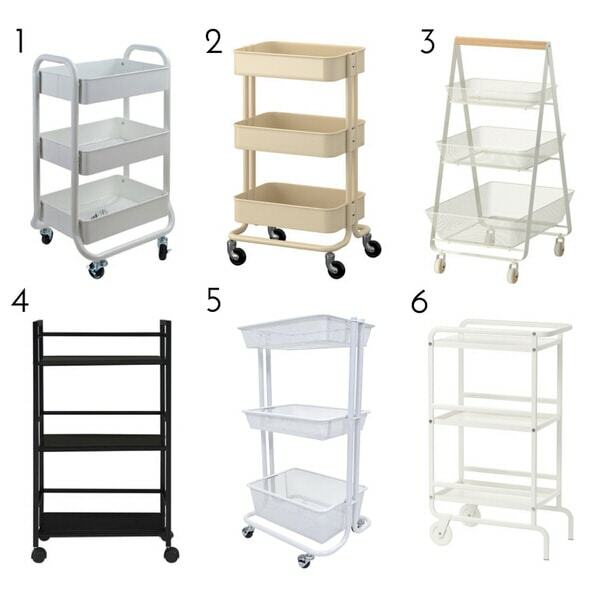 Thankfully, carts are pretty popular and easy to find right now, so if you’re looking to add similar function to your nursery, here are 6 options that would work just as great (although #6 will need baskets on all three shelves to help corral items). So there is my “Ode to My Diaper Cart” for you, lol! 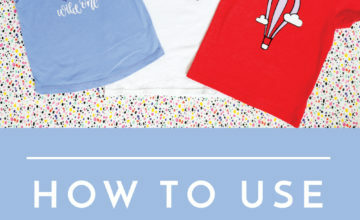 I realize it might be a bit much to write an entire post about it, but this one item really has made our diaper changes so much easier and improved the way we use the nursery as a whole. 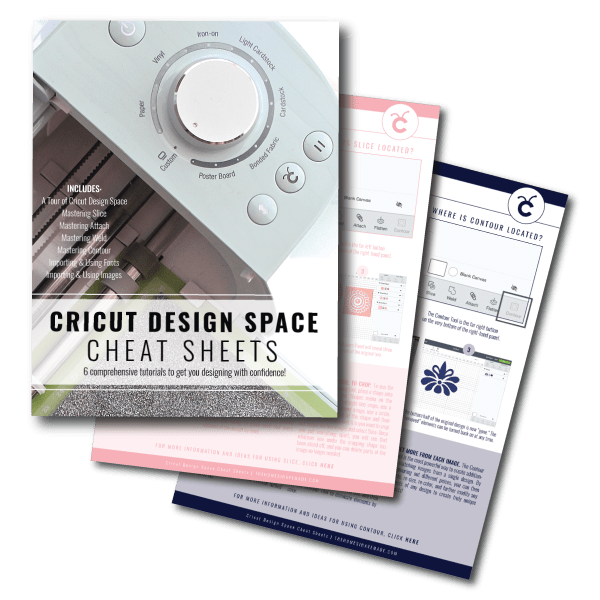 Carts are a great solution for adding storage in any space, but only if they hold exactly what you need them to in a way that is truly functional. 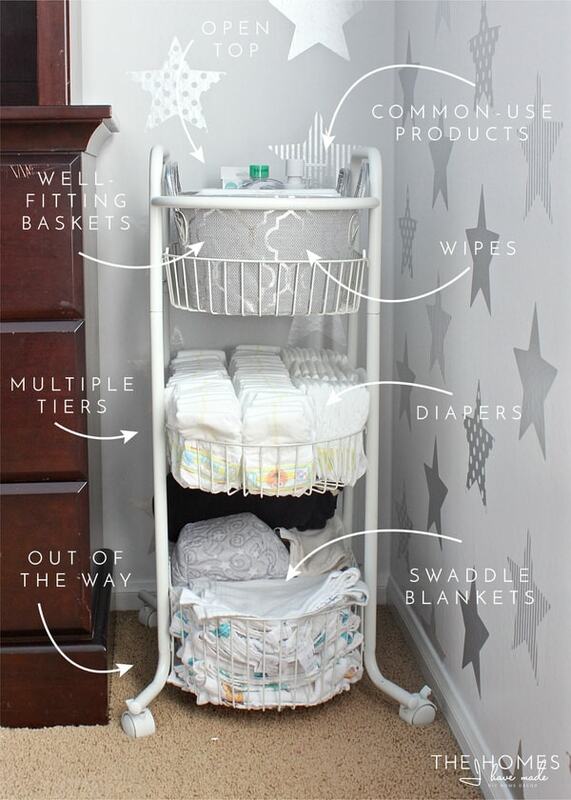 Hopefully these tips will help you create a more functional diaper-changing station in your nursery (now or someday!). I hope you all have a great weekend ahead! I’ve been elbow deep in lots of different DIY projects this week, so I am looking forward to relaxing a bit. 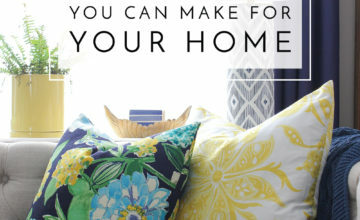 Next week, I’m going to be sharing a peek into our foyer makeover plans, as well as how I made those roman shades in our family room without any hardware! See you then! The baskets are the perfect touch! This is great – and so glad it worked out for you! I bet this could be used for kid crafts and adult stuff too.